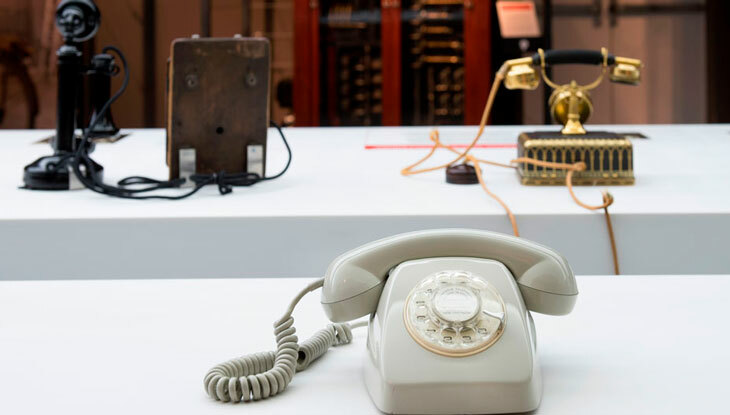 The aim of this exhibition is to trace the evolution of remote communication, with particular emphasis on the history of telephony in Spain. 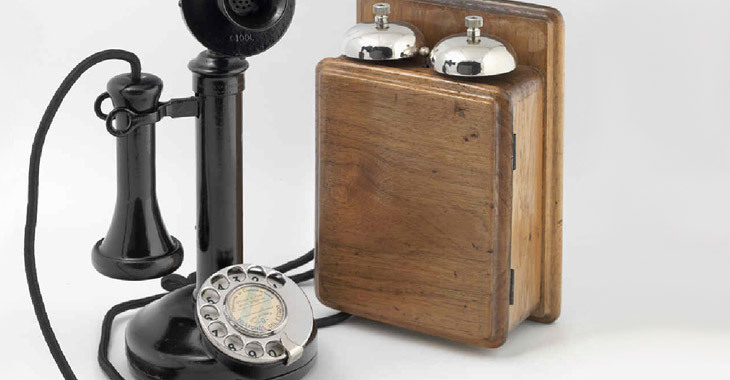 Long-distance communications have undergone a major transformation since the 19th century. 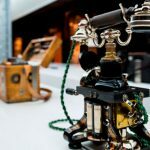 Telegrams, manual switchboards, eight-kilometre lines and landlines have evolved to the instantaneous, constant, global communications we know today. 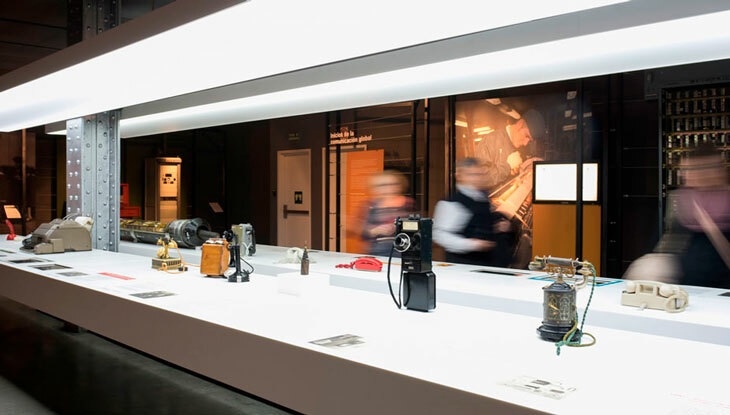 The Fundación Telefónica Space presents the exhibition entitled History of Telecommunications: the Technological Timeline of Telefónica, whose aim is to provide information on the evolution of telecommunications with a particular emphasis on telephony in Spain. 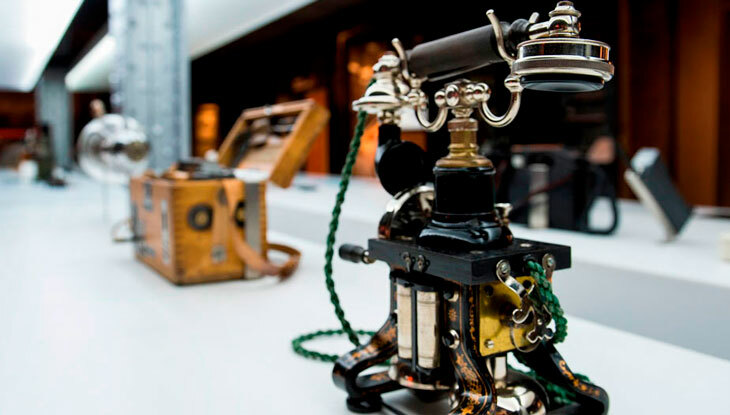 From telegrams to state-of-the-art mobile phones, the 50 pieces selected illustrate a journey through time and offer an overview of the birth of telecommunications, its early years and its progress through to the present day: a world of instantaneous, constant and global communication networks. 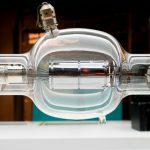 Rather than a nostalgic look back at the appliances and systems of yesteryear, the exhibition provides a demonstration of the quest for improvements and progress to achieve better and faster communications. It also reveals the incredible transformations that long-distance communications have engendered in society. The selected pieces are displayed in chronological order in seven themed sections. 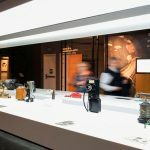 The exhibition is supported by a wide array of audiovisual content and touchscreens with supplementary information on the items, photos and games, as well as a series of albums recording the social history for each section. The exhibition starts off with a circular structure made up of 23 screens which allude metaphorically through images to the concept of communications and networks. 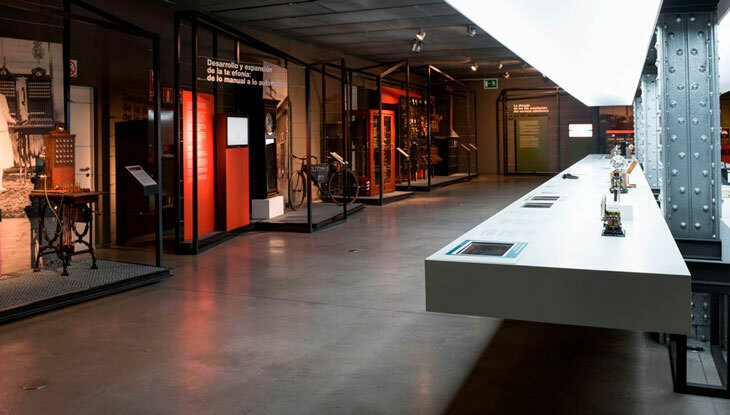 The journey ends with another huge touchscreen which illustrates a look at the past, present and future of telecommunications and includes interviews with people who worked in former trades, literary quotations, film excerpts and other material. Witnesses of the history of telecommunications tell their stories. This section portrays the moment that electric telegraphs first appeared. In the late 19th century, messages were transmitted for the first time almost instantaneously thanks to the invention of the telegraph. Several systems were launched almost at the same time, but the one invented by Morse became the standard thanks to its simplicity and economy of use. The huge possibilities that the wireless telegraph opened up and the appearance of the telephone revolutionized long-distance communications. This second section focuses on the origin of the telephone, the wireless telegraph and radio broadcasting as the basis of the telecommunications revolution of the 20th century. 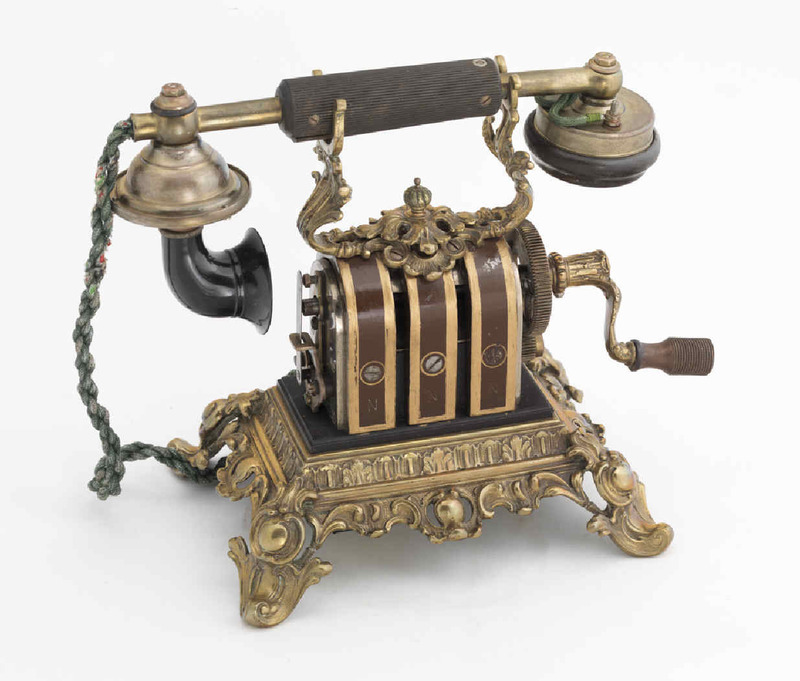 In the early 20th century in Spain, numerous companies were offering telephone services in different parts of the country. The telephone was now on an unstoppable trajectory and new buildings were constructed to house the equipment that would guarantee the provision of a telephone service. 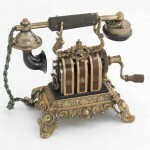 This section therefore illustrates how the telephone started spreading and gaining popularity. 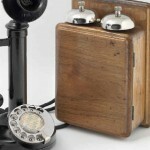 Initial efforts were aimed at extending the telephone network and providing subscribers with a heavy, black Bakelite telephone. 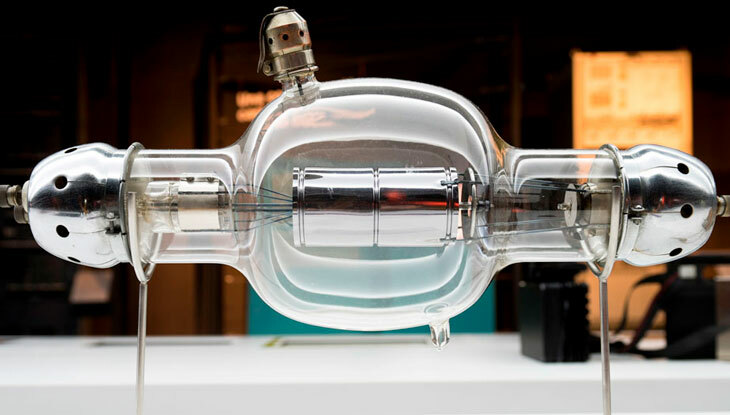 This section of the exhibition also illustrates how experiments got underway with microwaves, which allowed an increase in the transmission of telephone communications, and how thanks to the transistor the development of computers and electronics began. 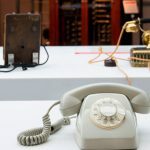 The demand for increasingly faster and better quality communications meant that the systems and equipment used in telephony were in a state of constant advancement. This fifth section focuses on the deployment of antenna stations for satellite communications. This was the time when the first computer networks started being created. Advances were made towards virtually limitless communications. This was the time when digital switchboards and fibre optics emerged, offering more and more services for customers, and the birth of mobile telephony. From the first portable telephones installed in motor vehicles through to today’s smartphones, mobile telephony has revolutionized the world. This last section reflects this evolution and how, thanks to mobile telephones, we can now enjoy instantaneous, constant and global communications.